If you need a cute fix, read about how the PAWS wildlife rehabilitation center is doing all it can to help orphaned squirrels. Why has the gray squirrel been so successful? You may have heard about how the gray squirrel is causing problems for the red squirrel in the United Kingdom. The gray squirrel is bigger and they compete for much of the same food and other resources. This article summarizes a recent scientific study that suggests that part of the reason for the gray squirrel's success in the UK is its lack of predators. Where there are pine martens, there are fewer squirrels. It also addresses the big problem - how has human activity changed ecosystems, setting up situations where some species can succeed but not others? Fascinating. 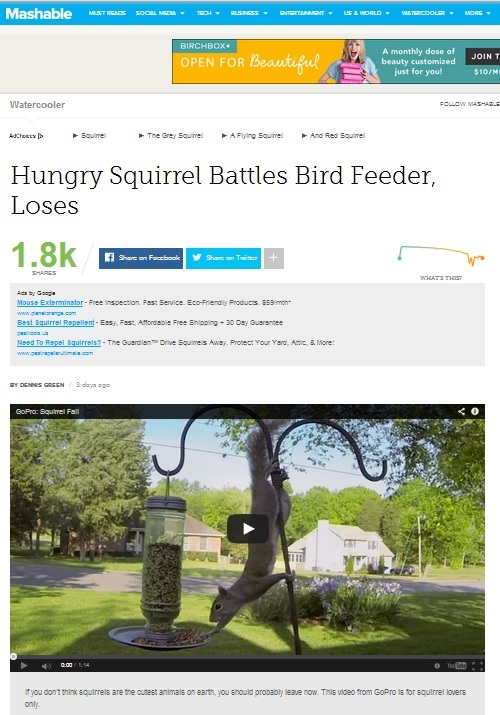 My news feed only reports one squirrel-related power outage this week - in Petersburg, Virginia.